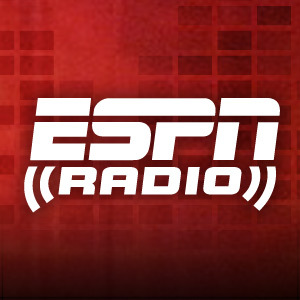 Jonathan Coachman and a rotating array of ESPN on-air personalities provide personality-driven opinion, analysis, humor and interviews covering the news of the day. Warriors coach Mark Jackson discusses his team overcoming a 27-point deficit against the Raptors, George Karl's comments on his coaching style and much more. Nuggets coach Brian Shaw discusses climbing the ladder to a head coach position, fighting with Kobe Bryant, defending Devean George from Shaquille O'Neal's criticism and more. Baylor football head coach Art Briles joins Jonathan Coachman and Reese Waters to discuss life after Robert Griffin III, and Baylor's upcoming season. 1987 Heisman Trophy winner Tim Brown says he feels bad for Johnny Manziel and notes that Texas A&M could have done more to ensure trouble was avoided. Packers WR James Jones talks about the negative criticisms of Aaron Rodgers, the numerous injuries this preseason and says he'd rather get a concussion than tear up his knee. Guests on Coach and Company include MLB analyst Doug Glanville, college basketball analyst Jay Bilas and South Carolina head coach Steve Spurrier. Linda Cohn co-hosts. Guests on Coach and Company include Geno Atkins from the Cincinnati Bengals, Dr. Michael Czarnota, and fantasy expert Chris Harris. Danny Kanell co-hosts. Dari Nowkha and Reese Waters discuss Johnny Manziel with former Heisman Trophy Winner Ty Detmer. Also, a preview of the Dallas Cowboys' season. Dan Dakich fills in and discusses why Johnny Manziel should stay in college. Nets Paul Pierce joins show and says he wishes he could play at Boston for first NBA game. Dan Dakich fills in discussing the latest on Johnny Manziel and whether or not college players should be paid. Also, Wes Welker says Belichick is a reason for New England. Seth Greenberg and Dan Dakich fill in, discussing the latest on the Johnny Manziel investigation and what to make of A-Rod's suspension. Coach & Bram Weinstein discuss Riley Cooper's comments plus Ronda Rousey & Coach Pat Fitzgerald join the show. Zubin Mehenti and Hugh Douglas debate whether Donovan McNabb is a HOFer with John Clayton, play ONE WORD, and sit down with LOU QB Teddy Bridgewater in studio. Max Bretos and Reese Waters talk to Kenny Lofton and Metta World Peace and also play One Word. Guests on Coach and Company include former MLB commissioner Fay Vincent, UCLA football head coach Jim Mora, and Texans TE Owen Daniels. Guests on Coach and Company include Stanford head coach David Shaw, Oregon head coach Mark Helfrich and Dr. Michael Gross, who examined Alex Rodriguez's MRI. Michael Smith and Jemele Hill fill in for Coach & Company and chat British Open with Bob Wischusen, Miguel Cabrera with Rick Sutcliffe and Brian Urlacher with Brian Dawkins. Michael Smith and Jemele Hill fill in for Coach & Company and discuss Johnny Manziel with Brock Huard and Joe Schad, The two also pick sides on the Eli vs Peyton debate. Guests on today's edition of Coach and Company include former NFL punter Josh Bidwell, former MLB 3B Mike Lowell, Stuart Scott and Danica Patrick. Seth Greenberg co-hosts. Zubin Mehenti and Hugh Douglas discuss the Home Run Derby and MLB All-Star game. The voice of MLB on ESPN Radio, Jon Sciambi, shares a Hugh Douglas story with Jonathan Coachman. The Coach and Max Bretos play One Word with actor Kevin James. Today's guest host with Jonathan Coachman is Danny Kanell. Guests include UFC fighter Chris Weidman and Mike Knuble from the Philadelphia Flyers. Jonathan Coachman is joined by co-host Reese Waters. Guests include former wrestler Steve Austin, Cardinals DB Tyrann Mathieu and Mets pitcher Latroy Hawkins. Coach & Danny Kanell discuss NBA free agency and UFC President Dana White joins the show. Jonathan Coachman & Hugh Douglas discuss Dwight Howard, the latest on Aaron Hernandez some NBA free agencey and get a great story from Sunday Night Baseball's Jon Sciambi. Newly minted MLB All Star Paul Goldschmidt discusses being named an All Star and his first place D-backs.